January 2014 – Here there Be Dragons! Next week is going to be a fairly big week for Tyree Tomes. There are a lot of things, big and small, to be taken care of as January flips over into February and to celebrate, the authors of Tyree Tomes will be conducting e-book give aways all next week. 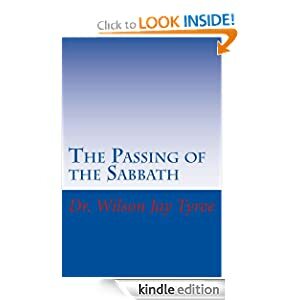 First up is Dr. Wilson Jay Tyree’s book on the history of the day known as the Sabbath. This book has been free all week and will be available for free download until midnight tonight (January 31st). 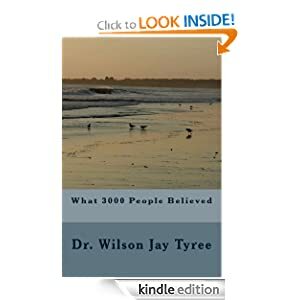 Check out this interesting read at: http://www.amazon.com/Passing-Sabbath-Dr-Wilson-Tyree-ebook/dp/B00BMWNUP2/ref=la_B00B1VF9OY_1_5?s=books&ie=UTF8&qid=1391201536&sr=1-5 Beginning Monday, February 3rd, Dr. Tyree’s book What 3000 People Believed will go ‘live’ (as he says) and be available for free e-reader download until midnight on February 7th. 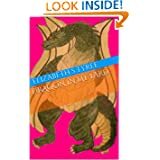 I (Elizabeth) will also be having a free digital download spree for my books this week, in honor of my birthday (which is a week from Sunday). 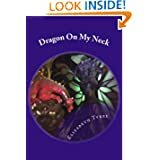 The Stone Dragon Saga Giveaway begins tomorrow, February 1st, with Book 1: Dragon on My Neck. Book one will be available for free digital download until midnight on Monday, February 3rd. At that point Book 2: Dragon in My Yard will become available for its free download stint. Book 2 will be available from February 4th through midnight on February 6th. 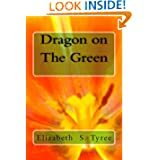 As soon as Book 2 finishes its run, Book 3: Dragon on the Green will become available. Book 3 will be up for grabs from February 7th until midnight on February 9th. Have a Blessed Weekend and ENJOY our books! I am a teacher who doesn’t teach. That is not to say that I CAN’T teach. I am certified in Elementary Education, have a background in education, music, and literature, and have, in the past, very much enjoyed my time in front of students. I just haven’t ever taken that step to having my own classroom. I haven’t even substituted in about four years. That Changed yesterday. I woke up severely early (5:03 am to be exact) and rode over an hour with my mother in order to show up at her elementary school and be a third grade teacher. I’m a bit rusty at the classroom management thing, but I guess I did alright because they have already asked me to come back to the third grade next week! Can I tell you a secret?? I have always said that I don’t like the younger classes…fourth grade was where I did my student teaching and has always held the number one place in my heart. Fourth Grade still rules…but those kids managed to make me admit that I like third graders! I’m still a little amazed at that. Of course, the librarian also gave me homework. It seems that two of their new books do not have Accelerated Reader tests written for them yet. I am definitely looking forward to both books (written by Oklahoma authors no less!) and, while I’m at it, I might as well write up reviews for you guys…right!?! Hopefully I will be including my books on that homework list soon. Until then, You can check out some other OK authors at http://okwriters.blogspot.com/. Does it make me more of a nerd to admit that I am super excited to read these? Or is the nerdy part that I am even more excited to make up the comprehension tests that my new ‘kids’ will be taking? According to my meticulously lined out day planner, today is the day that I have set aside to give you a fantastically in-depth and insightful review of “The Book Thief.” Sorry, It isn’t happening today guys! In reality, I spent a lot of time doing those things. But mostly, I was busy reading to, being read to, and playing with my 17 month old daughter. Her favorite character in books and television?? Take a wild guess…May you all have a Curious and Blessed Day! I should be exercising. Or working on orders, or working on Mom’s birthday present, or reading the book that I’m supposed to have a review ready for tomorrow (not gonna happen). Even, gasp!, cleaning. There are a vast number of things I should be doing. So what am I doing? I’m trolling the blogs and articles and new book releases. I’m writing a third post for the day. I’m happily living in the land of lost time while my toddler naps, the lights at half-mast and two-hundred whole new words committed to paper (well…word page) for the continuation of the Stone Dragon Saga. Call me lazy, call me silly, just don’t call me Ishmael…I write, I read, I procrastinate chores. I live the good life. That’s it, I don’t have any more. I’m off to watch streaming episodes of last week’s television shows and think about possibly working on the half-finished crochet elephant that is sitting on my craft table. It’s too cold to do much else. Have a warm and lazily Blessed day! Dr. Wilson Jay Tyree’s book, The Passing of the Sabbath, is a study on the idea of rest throughout Scriptures. This includes God’s rest, rest for the children of Israel, and eternal rest. He has written this from the view of scriptural studies. This past Saturday I had the wonderful opportunity to attend the performance of the Red Carpet Honor Band…a big deal for the band students of NW Oklahoma, and they did beautifully. While there, listening to the Jr. High B band rock out superhero themes (My favorite song out of all three performances, truth be told), I was inspired to write the following short paragraph. I don’t know if this will be used in a book or short story later on, or if I will continue to let it stand on its own. Either way, it happened. It wasn’t my friend. It was some junior high child with the right build and a slouch. That chin rubbing idiosyncrasy that only the one man had ever possessed? The first meager sprouting of a baby faced beard. But, he played the trombone, so that was solidarity enough…I can’t believe I’m that old now. She stood staring at the recipe before her. The lines scribbled out and notes decorating the edges of the small square made it clear that this was a work in progress, made of trial and errors. So, with her elbows covered in flour and her fingers coated in oils, she worked. Kneading the dough, punching it down, and finally being able to roll and cut the pieces. Carefully setting up the cooking sheets and waiting on pins and needles, picking at cuticles and biting fingernails until time to take out the pan and have a taste. Only to be disappointed once more. After six long years of trying, the flavor still wasn’t quite right. Throw this batch out to the dogs. “Canned stuff? I can’t believe you just said that to me,” Ellie raged, turning on him and snatching the bread from his hand. “Don’t you remember that night? The dripping blood, the screams? I swore after the Great Crescent Tragedy of ’08 that I would NEVER use canned again!” Ending on a shouted sob, the chef turned back to the scattered remains of her ingredients and resolutely began dumping a new batch into her bowl, muttering to herself the entire time. I want my words to be read. I want people the world over to see, hear, and feel my stories. I want to be someone’s inspiration as they work to further their dreams. Most of all, I want to leave a legacy for my daughter that she will be proud of. No, I am not and/or famous…YET!! But the game’s not over. I write every day, whether inspired or just plain tired, and try to find ways to get our ‘brand’ out to the world. I always try to leave a little blessing of hope at the end of my blogs as well. Maybe they aren’t having a great day, maybe they need some help, and maybe I can use my motivation for two seconds and give someone a virtual smile…something to brighten and inspire a day just in case someone needs it. Perhaps something like: May your motivation kick you in the backside and help you to have a Blessed and productive weekend! What motivates you to write/draw/cook/make music/play/create/go to the gym or whatever it is that you do? What is it that pushes you; that grabs a hold of you and just won’t let you go? Have a Blessed and Book filled day! Thinking about the books I loved in elementary school made me realize something I had never really thought about before. When you think about great classic books, especially children’s books, you remember the general setting, the tone, and of course, the main characters. Everyone remembers Peter Pan from Neverland had a friend named Tinkerbell. We all know that the Red Queen chased Alice through Wonderland. And who could forget that Aslan welcomed the Pevensie children into Narnia…well, eventually. However, does anyone remember the minor characters? Do you have a favorite? I know that some of my absolute favorite characters are those who seem to slip in and out of the storyline, almost undetected but for a swift pun or stunning swordplay before they once again fade out of the limelight. For example, Nana and the mermaids of Neverland, a myriad of talking animals throughout children’s stories (Reepacheep, the Beavers, DorMouse, Mock Turtle, etc. ), and perhaps even the Woodsman of fairy tale lore can be called a minor character who plays a major role. Some characters have been given the dubious honor of being both a major and minor character in literature. For example, Mr. Tumnus the Fawn plays a great role in the beginning of the Lucy’s adventure into Narnia, but then fades out of the story for a while. The Mad Hatter comes and goes and, though he continues throughout the Wonderland narratives, he does not always have much of a role to play. I must confess that the Mad Hatter is my favorite character from the Lewis Carroll’s works, and the subsequent television and film adaptations. Who is your favorite “minor character”? May your imagination never cease to amaze, may your life follow your dreams, and may you have a Blessed Day!